Have you ever wondered why your Network Marketing team isn’t duplicating as fast as you’d like? Depending on how closely you’ve looked at the culture you’re creating within your organization, these 3 key points could be the make or break in your teams success. Are your new team members motivated by money or recognition? Have you immunized them against rejection and taught them how to celebrate low points? Are they immediately armed with the tools they need to get a new person started independently of you? Ok so lets dive straight into the first crucial step in creating a downline explosion for your team. If you thought money was the only motivator behind someone joining your team, think again! When you were a child, if your teacher had have given you a choice of earning $20 to or the chance to be recognized as the top achiever in your chosen passion, which would you have taken? I suspect recognition would have outweighed the $20. Fast forward to adulthood, not only do people rarely receive recognition, they already feel they have failed in many areas of their life. They can’t pay bills on time, they can’t make their kids first soccer match, they have to be at an important meeting the day of their daughters first ballet performance. Mark Hoverson covers this in his training on Transformational Teaching vs Dictatorial Teaching. The key here is to make it incredibly simple for people to feel achievement. You must acknowledge and applaud ANY and ALL progress! The first time they pick up the phone to talk to someone. The first time someone hangs the phone up on them. Their first piece of content. Their first guaranteed sign up that bails. How do you applaud and have your team celebrating the so called negatives? Because you immunize them from day 1. It’s critical to be absolutely honest about what they might encounter and what it really takes from the moment they start, if not beforehand. “You might get so called ‘big hitters’ who join you and do nothing, but thats ok because the fact that you attracted such a high calibre person means you’ll do it again”. The key here is to keep your team feeling like they are winning and progressing, even throughout the setbacks. If you want people to duplicate, you need to tell them everything you’ve done to learn and grow. Don’t hold back on the influential courses you’ve done, the amount of books you’ve read, the weekends you gave up, the late nights. There is no need to be in fear that this will overwhelm or be too much for someone new. People will move mountains to send their kids to the right school. But they can’t do this in your opportunity if you play down what it takes. Another reason duplication stagnates, is because your new team members don’t know what to do with somebody new. They don’t have the confidence in getting their own new recruit started, so they subconsciously block attracting any new team members. Without this, not only will you create a needy downline that need you for everything, you won’t have a template for newbies to duplicate. This blueprint is where you cover your team training resources, corporate resources and training, tech support, your availability and basically set the culture for your team. A simple one page site works best, but if you don’t have the resources to create one, setting up a blog with a static page will work just as well. Let’s cover some ideas for this webpage to get your team duplicating and working almost independent from you. Welcome video and overview on what’s included on the page and why they need to follow it. Give a brief overview on what they are about to embark on and what it’s going to take to realize their goals. Be honest and down to earth here. This is not the time to be hypey about your opportunity. They are already ‘sold’ on your business so now is the time to get into the meat and potatoes. Make it crystal clear that their sponsor is not the ‘go to’ person for technical questions but include where they can go for help with each step. E.g. Godaddy has excellent 24/7 tech support that can walk you through a domain redirect, Aweber has video tutorials and live chat etc. Become comfortable with telling people to ‘google it’. If you allow your team to call you every time they are stuck, your will create a needy downline that will drive you nuts! This welcome page is a chance for you to instill a culture of independance from day 1. For our weekly training webinars, register here. Upcoming live events are listed here. Check the next event now. Business overview webinars times are listed here. Enter your details here for corporate updates. I use and highly recommend Aweber for your autoresponder, click here to set up your account. On the next part of the page, you want to cover some of the courses/resources that helped you get started. If you are an affiliate for any of the products you recommend, it’s a no brainer to use your own links. Again maximize this by weaving your own story in. What this course taught me, why I couldn’t do without this resource etc. The final part of the page is where you really get into the nitty gritty with the focus being on leverage, independance and duplication. Clearly state your hours of availability. Clearly state corporates hours and contact details. Be crystal clear about questions that should be directed to corporate e.g. my product hasn’t arrived, I can’t login to my back office, will my left arm drop off if I take X product with such and such medication etc etc. Network Marketing offers an incredible opportunity to create financial freedom, however without setting the foundations from day one, you can easily find yourself back in a full time job, surrounded by needy volunteers. How you welcome people into your business, sets the bar for how they will (or won’t) bring other new people into their business. How you applause a new person, also sets the bar for how your newbies will applaud and acknowledge other new team members. I would love to hear what systems you’re using in your business to ensure newbies feel competent in duplicating. Please do pop your thoughts/suggestions in below so others in the community can benefit. MIchaelÃ© — I think this is absolutely wonderful and I intend to send this to my entire team!. Thank you so much for doing this! I’m honored that you’re sending this to your team. Glad you liked it and thank you! Wonderful post Michaele, thanks for sharing with us. So thorough! In my first training manual sent to new team members I make it explicitly known that they will meet with resistance. This is a natural and necessary step which is a right of passage for anyone new to the online business arena. I celebrate each and every opportunity for growth. We are in the business of coaching, and coaches see the opportunity in every situation, including those which can be perceived as negative. I also find it helpful to motivate my team on a consistent basis. Sometimes new members think doing something “part-time” means putting off moving into action on valuable training for weeks. It doesn’t work that way. You must move into action daily on a continual basis to get good at this stuff. Sounds like you have a great training manual set up. You are right in that this is a business of coaching and mentoring. Part time definitely doesn’t mean you can do Network Marketing ‘sometimes’. It just means you have less time to commit than someone who is full time. It doesn’t mean you still don’t need to be consistently taking action and developing new skills. I’m always amazed at the amount of people I speak to that still haven’t read a single book on their industry! Wow Michaele, that was great. Especially the small wins part. I think that is absolutely critical to helping people move forward! Duplication is important as well. There are a lot of systems out there to plug your team into, including MLSP and Carbon Copy PRO. Personally I use CCPro right now and I think it is great! But there are other great systems out there too. Thanks for the post Michaele. Keep the great content coming! It was a bit of a revelation for me to realize how critical it was, especially when someone is just starting, to celebrate and applaud the small wins. Too often we wait until someone has their first sale or their first new team member before we acknowledge them. This is too late! Just making that first call can be a huge feat for some people, so in my mind, these small wins need to be celebrated as they represent action and growth. Wow! There is a lot of info here! Getting your network marketing team to duplicate is probably the hardest part of the network marketing business. You have given some really great pointers here and the tough love approach does seem to work. Thanks for putting this blog up! I agree that getting people to duplicate is one of the key challenges. What I think a lot of people miss, is making sure people are actually set up with the confidence to duplicate. Another critical component is making sure newbies don’t feel so disheartened with their first efforts, that they leave due to feeling like they’ve failed before they even start. Hence the Law of the first ‘small’ win. People will never leave your team if they feel like they are winning at every step. Especially when some of those steps result in so called setbacks. I do plan to build a team over time for different online purposes. I try my best to re-assure my students as they progress online. Every achievement is praised. If you’re already praising every achievement your students make, you are definitely ahead of the pack. Also important is praising the ‘so called’ failures. It sounds so simple and yet its so often overlooked! I understand why there is only a post once a month, you have so much information to offer. How do you find time to share all your knowledge. I hope you understand the appreciation certain ‘mastermind’ groups DO have. Thanks for the sweet compliment although I really think I have to focus on being more consistent! Mental note to practice what I preach! This was a great, insightful post. I remember I had problems with my downline. I wish I would’ve read this post when I first started lol … But now I know better. It’s a must that I share this information. I wish I had have had the ability to write such a post when I started out! It’s only through experience, and sometimes pain that we go searching for better ways to support the duplication process. I don’t think I’ll ever stop learning from this incredible industry. P.S. Great work on your blog. Have you thought about transferring from WP.com to WP.org so that it can never been deleted? What a FANTASTIC post about getting a new person started on the right foot in your network marketing business! I agree totally about helping people feel important and valued right away. I honestly believe more people are starved for recognition and validation than they are for more money. I really like the blueprint you set forth here. Not only is it thorough, but I can see that when implemented as you describe, it will establish you as a sincere and powerful leader, the kind of person people will want to follow and learn from. I will definitely use this blueprint going forward! I love how it integrates “old school” techniques with “new school” technology, truly blending the best of both worlds to help people with a dream get closer to achieving it. I totally agree that I think people are more starved for recognition than money. As adults this is one area where I don’t think we differ much from children. Praise, acknowledgment and a sense of winning can be the make or break as to whether a person moves forward or not. I’m glad you liked the blueprint as I think lack of not knowing what to do next, is another huge area where people get off track. How we set people up initially, in turn becomes how they set new people up, so it really makes the foundations so important. Now this is how you do things! Is there any doubt that if you do everything outlined in this post that people will have more success with duplication? I think not! Great plan and great follow through. So many people get it wrong from the beginning that their partners are doomed before they even begin. You’re spot on about the beginning. Without strong foundations any business is doomed for failure. Whilst most companies do a great job in putting together the necessary tools to succeed, it’s our job to provide a support structure that duplicates. This is a very comprehensive and well put post Michaele. I like the fact that you pointed out how important it is in having a blueprint for your team to follow. 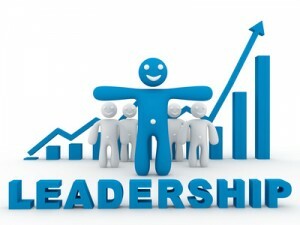 Because as part of being a leader, you need to be able to show and guide your followers on how to achieve their goals. Thank you and I’m glad you found some take aways from this post. Network Marketing is such an incredible process of learning and developing. I don’t think any of us start out with all of the foundations in place, but over time we build on them! P.S. Great site you’ve put together. What you shared in this post is a phenomena, a method, an experience we all have in common from the very earliest days of our lives. Yet few of us ever stop to consider the impact it had on us or think about how we might use the valuable lessons it teaches. This process is so effective that virtually everyone who uses it succeeds mightily. What am I talking about? The experience of learning how to walk. While our parents, relatives and friends didn’t have a written blue print — an excellent recommendation by the way for the things we want to teach young people and adults alike — they did provide us with plenty of immediate, consistent, repetitive and positive feedback . . .
We didn’t shrink from fear because we knew we were surrounded by people who loved us, cared about us and would protect us. We learned by watching, by imitating and by taking someone’s hand as they helped us acquire the skills that we were born to master. If we apply the same kind of thinking and caring to helping people with all the “firsts” they’re going to experience as they build their business, chances are they’ll have the same kind of success they had with walking. It appears you’ve created a similarly powerful success path for your business partners, too. If your recruits and other down line members follow your guidance, I have no doubt they’ll be as successful as you are. Enjoyed this post very much and look forward to your next one. PS Thanks for the encouragement and recommendation you provided Tuesday night. . .I’m all over it! Thanks for your incredible feedback! If there is one thing that doesn’t change between childhood and adulthood, its the need for encouragement and support. As you’ve said, it was the positive consistent feedback from family and relatives that helped us to succeed in crawling, walking and then running. The same principal was also carried through when we had negative experiences. When we didn’t get the outcome we had hoped for, we were still reminded of our brilliance! Unfortunately many people that didn’t have this kind of reenforcement in the early stages, struggle to thrive down the track. I’ve always believed that if you create an environment where people people feel like they are winning, you will have incredible loyalty in your business. This is awesome advice! I actually had a step-by-step system like that set up for my nutritional business. It worked like a charm until the autoresponder I used shut me down because they didn’t allow MLM related newsletters anymore. Bummer! I need to set it up again. So thanks for the reminder! I’m glad my post gave you a prompt to get things set up again as it really does make things easier. LOL re those silly companies banning MLM related newsletters. We still pay them! Hello MichaelÃ©, just came across your site, and what a great post I found. I think some team member dare – I think dare not – is the right word! …. dare not to tell new members the truth. Thank you and yes I think people are afraid to let people know straight up that business is not easy and there are going to be setbacks. I tried to leave a comment on your blog today and there is an error with your captcha preventing comments. I then looked for a Twitter user-name to let you know and I couldn’t find that either. I hope you receive this reply. You have put together a great blue print that anyone in any business can use and follow. It is very thorough. I have to agree that you should celebrate any and all wins…even the ones that are losses. Knowing why someone joins you in business is key. It’s not always about the money. I’ve heard it said that people will work harder for praises than raises…and it’s often very true. Loved that saying people will work harder for praises than raises. So true in many cases! I’m glad you liked the blueprint and I really hope it encourages others to celebrate the so called losses with their teams. Thank you for sharing your own experiences with building your team, this is such a great post for anyone that is starting out or has a team with which they are mentoring. I love the part about celebrating the losses as there are so many challenges when starting in an online business. To have a cheerleader encouraging you through the little wins and losses would make all the difference, I know my mentors have been crucial in that regard. It sounds like your mentors have also been great cheerleaders, which is awesome to hear. And knowing how encouraging and inspiring you are, I have no doubt that you are a fantastic mentor for your team!